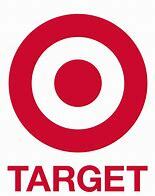 Today only, Target is offering 30% off Kids Boots, Shoes and Slippers both in-store and online. If you are shopping online, there is no promo code needed. The prices shown reflect the discount. If you are shopping in-store, add the Cartwheel offer to your account. Plus, slippers are currently on sale buy one, get one 50% off with no promo code needed. The discount will automatically be applied during checkout.